The Lebanese capital Beirut receives most of its drinking water from the Jeita Spring in Mount Lebanon (shown in the background). Photo: Innotata. Natural water imbalance: Precipitation is largely concentrated during three months in the winter, while demand is highest in the dry summer months. As Lebanon has few dams or other storage facilities, much of this water flows to the sea without being used. Rapidly rising demand: Projections show that water use is likely to increase considerably in the future as a result of population increase and urban sprawl. This will further strain water resources. Inefficient public water distribution system: Despite considerable investments, supply is still frequently interrupted and network coverage is inconsistent across the country. Moreover, the network is badly maintained and often very outdated, so that on average 48% of water is lost through leakage. Poor service delivery performance: Water establishments have been unable to apply key measures to provide a more reliable water supply or to improve their financial viability. With bill collection rates at an average of 47%, they also remain financially unsustainable (Figure 5 and ‘Water Use’). Water pricing: As water is priced at a flat rate, consumers see no reason to save water, while the water establishments have no incentive to spend more on operation and maintenance, such as leak detection and repair. 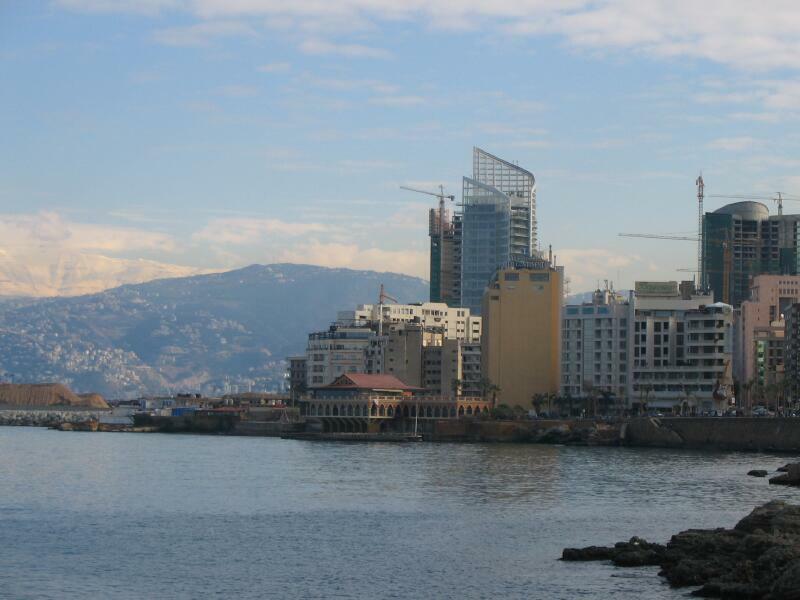 Poor wastewater management: Around 92% of Lebanon’s sewage flows into rivers and the sea untreated. Wastewater management is fragmented, with responsibility for project planning and implementation (treatment facilities and connections to networks) split between the CDR, water establishments and municipalities. The largely donor-driven investment process has resulted in a mismatch between wastewater collection and treatment capacity. Besides the severe pollution of surface and groundwater, the failure to treat wastewater is also a waste of a viable resource, as treated wastewater could be reused in agriculture. Many of the issues outlined above are caused by the sector’s fragmented institutional and legal framework. Law 221 of 2000 was not accompanied by operational decrees to implement the laws, so that roles and responsibilities are now unclear. For instance, although the legislative framework identifies the Ministry of Energy and Water as the central institution in the water sector, its role still overlaps with that of the CDR when it comes to the construction of infrastructure projects. This can lead to frustrating situations, as in the case of a number of wastewater treatment plants which were built by the CDR but are not operational because the network systems around them, which should be provided by the water establishments, have not been built. Frequent political change: The highly politicized environment in the country further complicates matters, as each new government brings with it a new approach to water-sector coordination and implementation of projects. While numerous water management plans and strategies have been developed over recent decades, most were never effectively implemented. Budget shortfalls: The Ministry of Finance often puts transactions on hold due to budget deficits. In certain cases funds are not released or delayed due to political divergences between the Ministry of Finance and other ministries. Lack of capacity: Understaffing and a lack of technical expertise are ongoing issues at the government level. The Ministry of Energy and Water is seriously understaffed, with less than 20% of established positions filled. This is also the case for water establishments. Weak regulatory framework: Ongoing failure to enforce water laws leads to illegal dumping of untreated water, uncontrolled water abstractions (e.g. through illegal wells) and the flourishing of unlawful practices such as the distribution of water from water tankers. Lack of accurate data: There is limited information on the quality and quantity of available water resources, and little or no sharing between institutions. Geopolitical context: The conflict with Israel on the one hand and the ongoing unrest in Syria on the other make it difficult to develop Lebanon’s shared water resources (see ‘Shared Water Resources‘). The conflict in Syria has also driven more than a million refugees into Lebanon, which puts further strain on water resources, sanitation services and food security. Climate change: This is an emerging issue which is expected to heavily impact future resource availability. Sources for this section: The World Bank, 2012; Brouma, 2012; IFI, 2015; L’Orient Le Jour, 2014a; LCPS, 2014; The Daily Star, 2013; The World Bank, 2014; L’hebdo, 2014; Reliefweb, 2014.